Air Quality System Installation, Lakeland, FL | Johnson's Mechanical Inc. Air Quality System Installation, Lakeland, FL | Johnson's Mechanical Inc.
Let us show you how to avoid sick building syndrome in Lakeland with air quality system installation. There has been more and more evidence recently to support the theory that air quality affects overall health, so air quality system installation has become common in many commercial facilities. It is important to do all you can to safeguard the health of your employees, as well as others who frequent your business. Improved air quality reaps many rewards – higher productivity, fewer sick days taken, lower insurance costs, and higher morale. 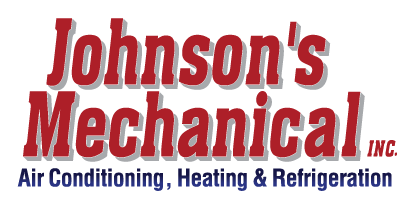 At Johnson’s Mechanical Inc., we offer top-quality products and services, so your air quality system installation is done for optimal benefit. These systems are beneficial in any kind of commercial building, including restaurants, office buildings, industrial facilities, hospitals, physician offices, retail stores, and so much more. Today’s buildings in Lakeland, Florida are built to be more energy-efficient, which means they are very well-insulated. This keeps out the heat quite well, but it also keeps indoor air recirculating without being refreshed. With an air quality system installation, this can be overcome so that everyone breathes easier and sick building syndrome can be averted. The more contaminants that are present or produced by a business, the more important it is to have us do an air quality system installation. Our 35+ years of experience will go to work customizing a system that works for your specific needs. Give us a call today to learn more about these systems or to have us check out your current system to see if it is doing the job it was meant to do. We also provide full service for all your HVAC and refrigeration needs.